Shawn Layden is Chairman of Worldwide Studios for PlayStation, where he oversees all first-party game strategy and development. Layden has extensive experience in the consumer electronics and digital entertainment industries, including more than 20 years at PlayStation where he has held a variety of senior positions. Previously, Layden was President and CEO of Sony Interactive Entertainment America, leading the PlayStation business in the United States, Canada and Latin America. Prior to that, he served as Executive Vice President and Chief Operating Officer of Sony Network Entertainment International, responsible for global marketing, sales, and network retail operations for the PlayStation Network. Layden has also held executive leadership positions Japan and Europe. He spent eight years directing international software development at Sony’s London Studio and was the President of Sony Computer Entertainment Japan. He joined Sony Corporation’s corporate communications department in 1987 in Tokyo, Japan, and worked for several years as the communications assistant for Sony founder and Chairman, Akio Morita. Layden graduated from the University of Notre Dame. 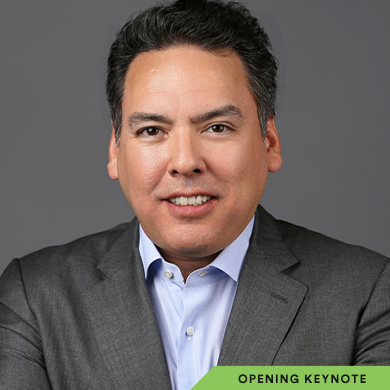 Industry veteran Shawn Layden, Chairman of Sony Interactive Entertainment Worldwide Studios, has participated in the evolution of the industry from a rare vantage point encompassing console development, in-house studios and third-party developers. In this presentation, Layden shares his perspective on various industry inflection points he’s experienced during his time with PlayStation and discusses current trends driving the gaming industry – providing context around our shared history to help think about what comes next.